Ellsen overhead rail crane is a kind of advanced overhead crane designed with single girder and double girder. 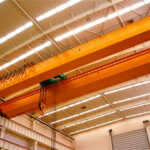 Standard and tailored overhead rail cranes are available to you at factory price. 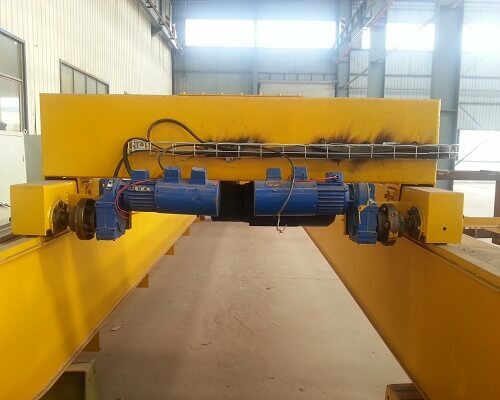 All types of rail cranes manufactured from Ellsen Overhead Bridge Crane Factory are tested qualified with classes 3 to 8 meeting any requirements for your industry. Whatever industries you are in, once you need lifting requirement, Ellsen Crane Machinery can manufacture a crane applicable to your industry. There are different types of overhead rail cranes, customized or not, any requirements you need, Ellsen overhead rail crane will match to your industry. 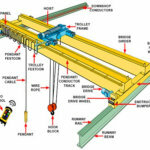 Once you come in connection with Ellsen, you will find that our crane factory is qualified to manufacturing custom overhead rail cranes with a full line meeting your individualized demands. 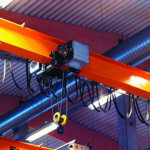 What Technical Highlights Support Ellsen Overhead Rail Crane? 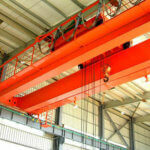 Ellsen overhead rail crane is a kind of series of new cranes with advanced technical support. 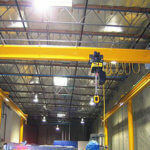 This type of crane can meet customers’ different application requirements. Multi-design concepts back the different specific application demands. 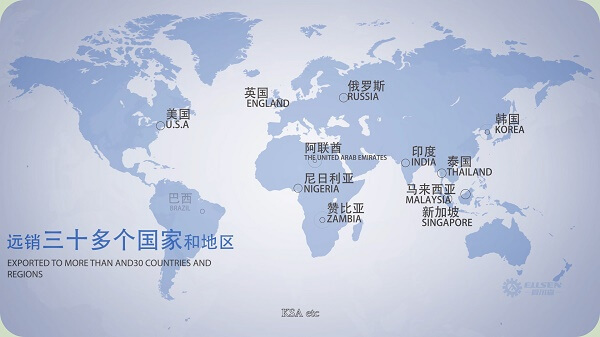 Ellsen Overhead Bridge Crane Corporation is well recognized as one of the leading custom crane & material handling manufacturers in the world. 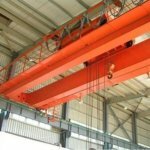 Our single girder and double girder overhead rail cranes and custom engineered equipment routinely operate in many unique applications handling critical loads such as rocket engines, spacecraft, nuclear fuel and high explosives. 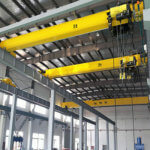 Custom you a new overhead rail crane for your industry. All your material handling demands, from a custom overhead rail crane even to its smalL parts will be perfectly met in Ellsen, and professional and experienced crane engineers will design an ideal and low-cost crane for you. 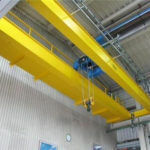 Whether you need a standard overhead rail crane or a customized crane, detailed and professional crane solutions will be tailored to your industry, any needs, be free to contact us.